For the best value for the money, the Planar® PCT2235 is a 22” Full HD LCD monitor optimized with multi-touch interactivity. With its easy to adjust, ergonomically-friendly Planar® Helium™ Stand and multiple video inputs, this versatile monitor accommodates all user expectations. 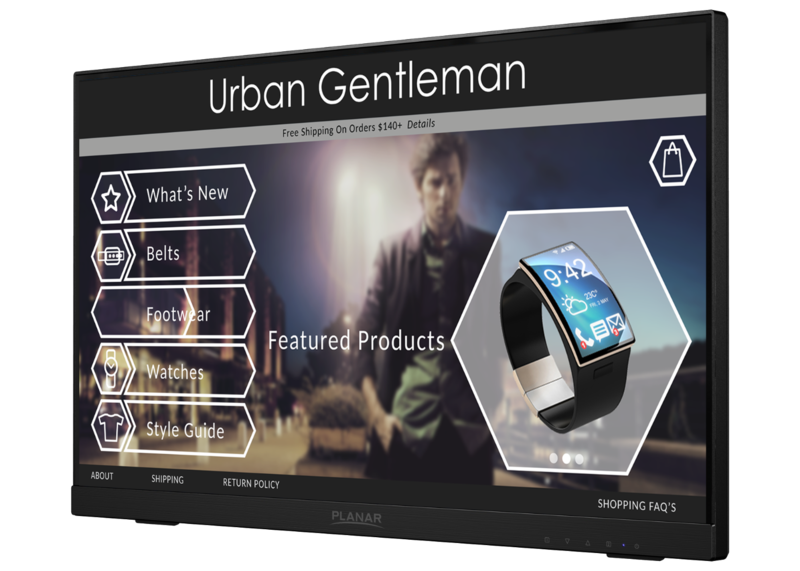 The Planar PCT2235 22” Full HD monitor with multi-touch interactivity is the best value for the money. Featuring Projected Capacitive touch technology which registers up to 10 simultaneous touch points, the monitor is extremely fast and accurate for the office worker when scanning through emails, or for the graphic designer when swiping through various design alternatives or resizing photos. Blue light has a short wavelength and produces a higher amount of energy. Studies have shown that prolonged exposure to blue light could damage your eyes. The Planar PCT2235 incorporates blue light reduction presets. Varying blue light levels depending on the activity enhances visual comfort when viewing the screen for extended periods of time. The Planar Helium Stand can be easily tilted from 15° to 70° - quickly moving the user from passive viewing to full touch screen interaction. For the mobile worker desiring to dock their tablet to larger display when manipulating spreadsheets, or for the college student scrolling through social media updates, the versatile stand accommodates all usage scenarios. For added flexibility, the stand can be collapsed into the back of the monitor and laid flat for tabletop usage, for example, in a museum environment to further explain an exhibit. For more integration flexibility, the Planar PCT2235 multi-touch monitor boasts multiple video inputs – DisplayPort, HDMI and VGA - and integrated speakers. And the VESA-compatible hole pattern on the back of the monitor makes it easy to attach to other mounting option, such as a Planar single-arm clamp stand or a height-adjust desk stand.